Microsoft SQL Server 2005 was designed to provide integration with the Common Language Runtime (CLR), which is the runtime used by all .NET assemblies. 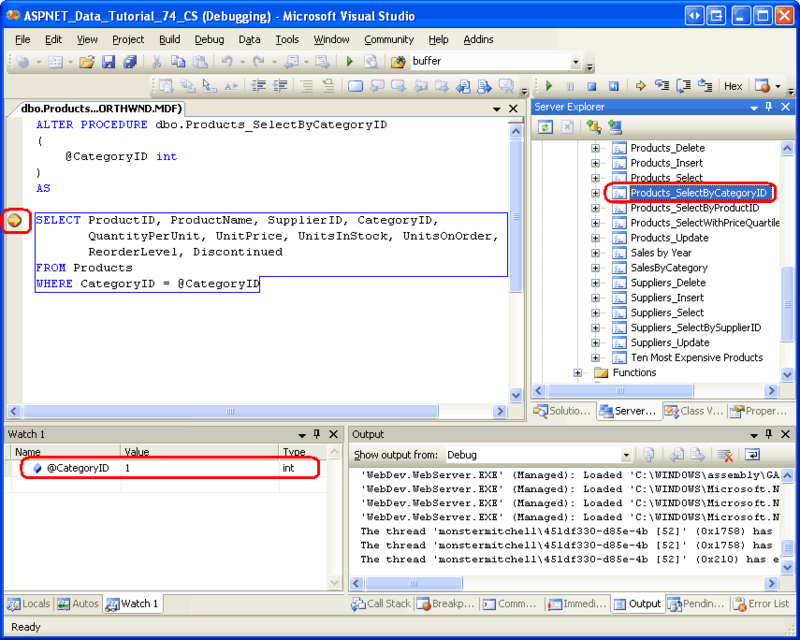 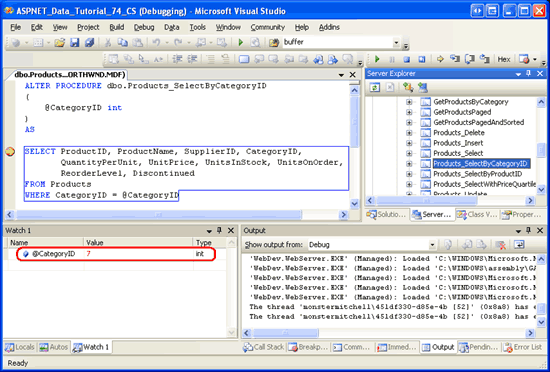 Consequently, SQL Server 2005 supports managed database objects. 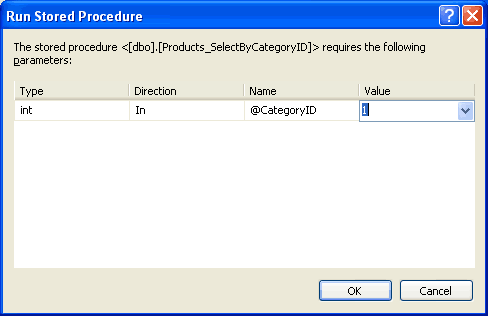 That is, you can create database objects like stored procedures and User-Defined Functions (UDFs) as methods in a C# class. This enables these stored procedures and UDFs to utilize functionality in the .NET Framework and from your own custom classes. 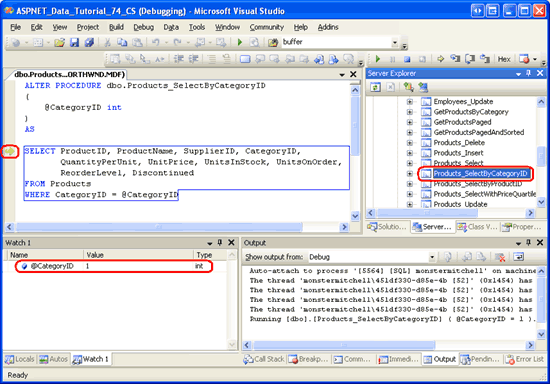 Of course, SQL Server 2005 also provides support for T-SQL database objects. 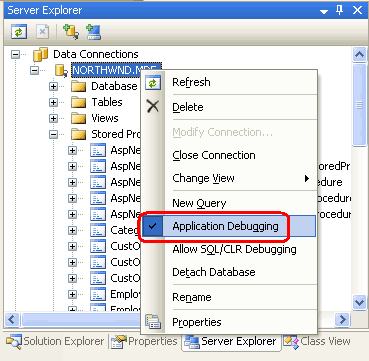 Before we can start debugging stored procedures called from the application, we need to instruct the ASP.NET web application to integrate with the SQL Server debugger. 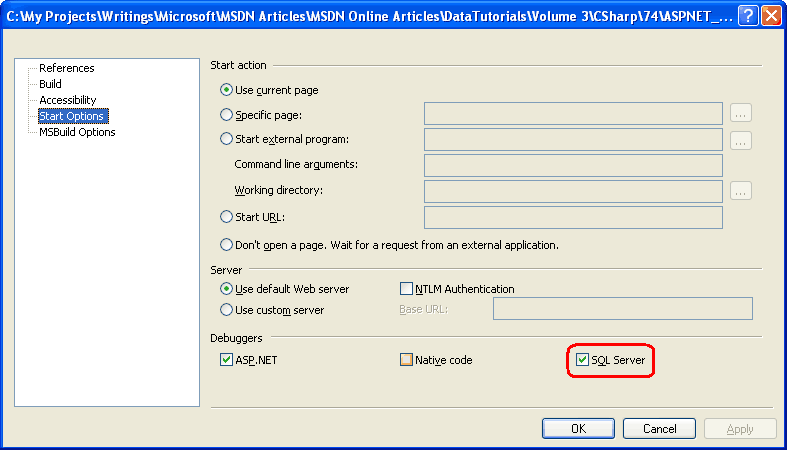 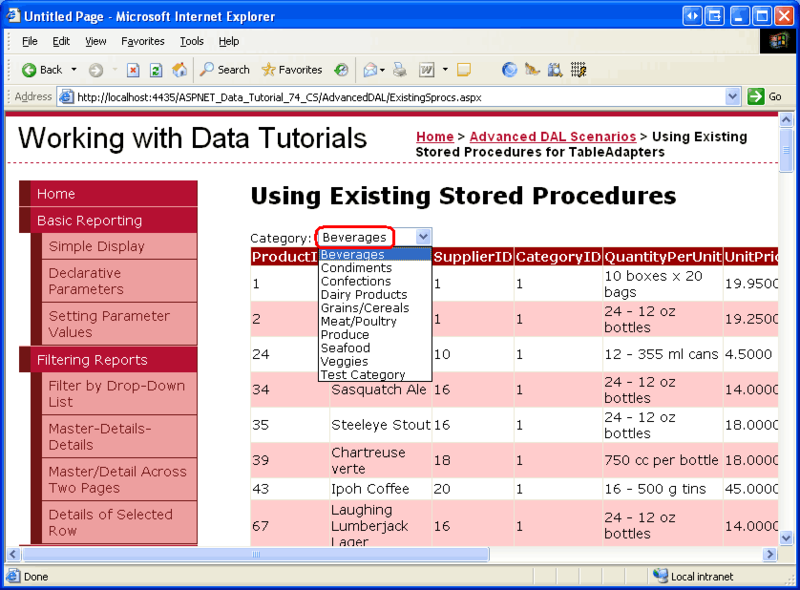 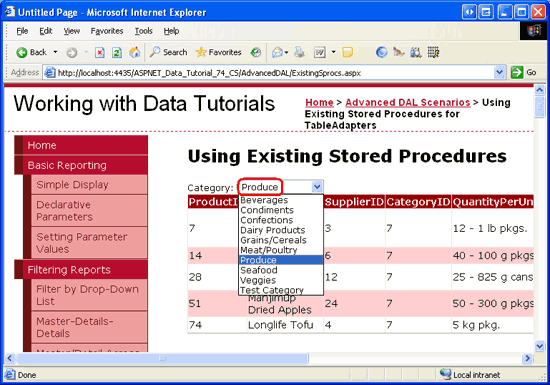 Start by right-clicking on the website name in the Solution Explorer (ASPNET_Data_Tutorial_74_CS). Choose the Property Pages option from the context menu, select the Start Options item on the left, and check the SQL Server checkbox in the Debuggers section (see Figure 3).